Funcom's The Secret World is in a tricky spot, after seeing only about 200,000 purchases in its first two months. Of course, an MMO's post-launch period can be expected to be tricky, as a service-oriented model increasingly relies on launch feedback and adjusting course as it goes. When that initial release doesn't catch fire, the challenge gets steeper: How do you adjust for early issues -- and attract players who might've been turned off by early reviews to give the game another go? MMOs receive Metacritic ratings based on launch performance, but as of now, it's not as if the critics' score can increase even if the game improves. Hoping to nurture the game into something sustainable, Funcom recently moved lead content director Joel Bylos into the position of game director, to work alongside Ragnar Tornquist, who continues as The Secret World's creative director. Together, the pair hope to lead improvement and expansons on the game -- and tackle the challenge of winning potential players all over again. Getting more hands on deck at the high level is a place to start: "Ragnar has been juggling the work of three people for a long time," Bylos tells us. In addition to executive producer and creative director, Tornquist also handled the game's writing and voice direction. "He has been a keystone of the project, but that also takes its toll." Along with producer Scott Junior, Bylos' first task is to reshape and orient The Secret World's team for live operations -- presumably that's part of why the company had to institute layoffs as part of its overall recovery effort. Part of the challenge is that the MMO marketplace is crowded, after several major releases just this year. And many major video games must necessarily shift into a model that creates a longer-term and broader relationship with its players: Diablo III and Borderlands 2 aren't MMOs, but they're designed around the goal of creating potentially-infinite experiences. Whether MMO or not, many big games now rely on becoming a player's most significant daily hobby and sustaining that attention for some time, so the competition is even steeper. "It's very hard for a new IP to stand out in a landscape of sequels and big-name franchises," says Bylos. "From a business perspective, the challenge is to get more copies of the game into the hands of players. From a development perspective, the challenges are more about settling the development team into a good rhythm going forward." Bylos says the team is on track now with its schedule of monthly updates, and plans for content and feature patches on a regular basis are well underway. A key component of this process starts with identifying the most impactful features for players -- and potential players -- with a focus on what the company calls its four pillars for The Secret World. Perhaps most interesting of these pillars is The Secret World's modern-fantasy setting, partially oriented to help it stand out in a genre that generally favors high fantasy. One goal for the game's team is to continue enriching that world, focused on a sense of helping make progression meaningful through a strong storyline that involves conflict among differing factions. As for Tornquist, now that he doesn't need to balance three different jobs, he's looking forward to some positive change in his daily work. "Joel will be shaping the creative direction for the game, and that's something players will see in the months ahead, but he and I have been working together on The Secret World for a long time, and our goals are quite similar," Tornquist explains. The trajectory of an MMO is made more difficult by the fact that investors often still expect to see the same types of success signs as they would expect in a commercial game. How will the team handle that communication challenge from a business standpoint and from a player standpoint, so that everyone understands the nature of a live operation that is a work in progress? "I think most of our players are very aware of the nature of MMOs as constant works in progress. They definitely have a lot of patience and that's reflected in our user scores, which are consistently high," Tornquist notes. "The players, in general, are happy with the game, and they're happy with what we're doing on an ongoing basis to make The Secret World an even better and more engaging experience." Tornquist says the game's existing community has been incredibly patient and a willingness to invest in the process. "From a business standpoint, we would of course have liked to see The Secret World perform better right from the start. Our slow launch has definitely had an impact on the team and on Funcom," he says. "At this point, however, we're also seeing a commitment from everyone in the company to give the team the time and the investment they need in order to reach a wider audience, and to keep our existing subscribers happy and engaged with constant content updates and new features." 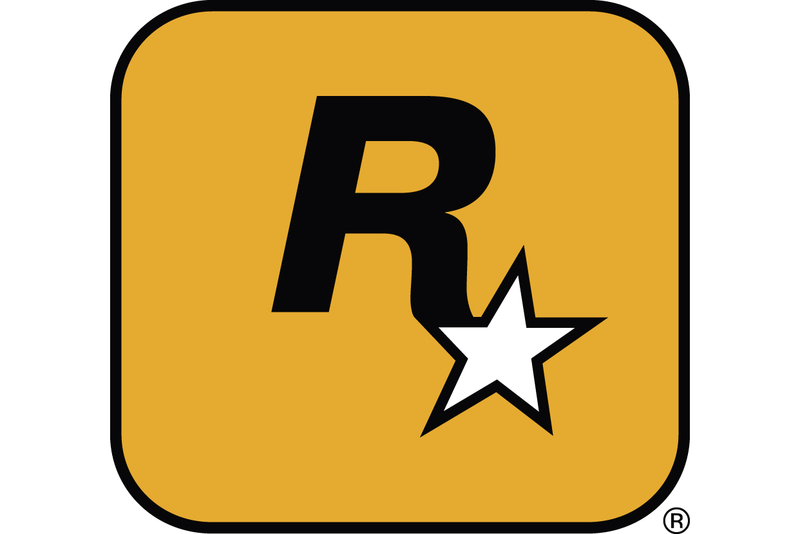 The game's Metacritic score was lower than the team hoped for, Tornquist admits. "Being different can sometimes be a big disadvantage, particularly when the threshold for losing patience with a game is low," he says. "We don't blame the reviews, of course. It's obvious that The Secret World is quite divisive, and it's also obvious that we could have done more to ease players into the reasonably complex mechanics in a smoother and more user-friendly way." Tornquist says he has a hard time understanding why the game has been so divisive. "If you read most The Secret World reviews you'll see that nearly every critic found a lot to like and love, but for various reasons the scores would sometimes end up somewhere between 60 and 80, which naturally affected our Metacritic average," he says. "Curiously, we also have a lot of reviews in the 80s and 90s -- and even a couple below 60 -- which boggles the mind. That one game can be so many things to different people, from the 'best game ever' to a 'great disappointment', it's almost incomprehensible." Given that kind of polarity, and the clear challenge reviewers seem to have with achieving consensus about a long-term game, maybe there's something to be said about the idea of re-reviewing MMOs into the launch window. Bylos thinks it might be a good idea: "Three or four months down the line... you'll often see where the game is heading, whether the developers are working hard to evolve the game, add content, and take action where needed, or whether the game is being left to rot and die," he says, citing the over ten-year lifespan of Funcom's own Anarchy Online as evidence that these games can have incredible variety over time. So could Metacritic scores potentially be destructive to online games, since the game's condition at launch can be hard to judge and have such little relationship to the long-term nature of the product? "I wouldn�t say that it is destructive, but it is very much an influence on window shoppers," says Bylos. "The fans know what the game is about, they have read up on the features and most of them had the opportunity to try it in beta. But there are hundreds of thousands of people who will be looking for a game to play, see something about The Secret World, be intrigued by the premise, but then will dismiss it on the basis of a low Metacritic score," he says. "Steam does everyone the favor of posting the score right next to the game in the store." But it's "not fair" to blame Metacritic, Bylos continues. "The reality is that the game had mixed reviews and as such is indicative that the game is divisive," he says. "There is plenty to be learned from reading and watching professional reviews and taking away points of the game that could be improved." At Funcom now, there are "a lot of eyes" on sorting out where to apply evolution and change. In addition to usual feedback avenues like user feedback and playtesting, "our community team provides the development team with top ten lists of what they are picking up as the most talked-about and most pressing issues that need to be addressed, and we get the same from QA -- although their focus is, of course, more on bugs," says Bylos. "On the development team itself, there are constant discussions and team management keep constantly updated lists of what they want to address." Primarily, though, the team values making judgment calls on its own instincts after sorting all the feedback. "It's hard to make a game for everyone, so we have to start with ourselves," says Bylos. In a "state of the game" letter that Tornquist released to the community, he stressed the importance of meaningful evolution versus change so drastic that the game becomes something it is not. But in a time of needing to be so focused on features and how users respond to features, how do you isolate the elements that identify your game? "There are strategic meetings where managers and directors sit down to map out the road ahead -- based both on player feedback and the team's own ideas and wishes -- and then they see how that fits into the vision and direction for the game," says Tornquist. "Anything that doesn't support those four pillars is often discarded. That doesn't mean we're unwilling to expand the game in other directions, of course -- player housing, for example, is something that's being discussed -- but again it needs to stay true to our game, to the game players and playing and enjoying, and we definitely need to avoid knee-jerk reactions to other games." There'll be no elves in The Secret World anytime soon, then -- "Or, at least not elves as you know them," says Tornquist. "I've always said that The Secret World has a soul," Tornquist reflects. "It's the job of the leads and directors to really understand and know what makes The Secret World what it is... it's that vision, that direction, informs everything we do. It evolves naturally from our focus on feeling, being, looking different, having a soul, not trying to copy every other MMO out there." It's that intrinsic knowledge that helped Tornquist understand it was time to redefine his role on the project, he says. Player requests range from major features, like player housing, to balance issues and cosmetic ones, like different hairstyles. Some players have asked for more of the same, like investigation missions, story features and sandbox elements. The individual teams that tackle each area are asked to focus on that community feedback. "One of the areas where we have received a large amount of feedback is the faction conflict in the game," Bylos notes. "Players currently feel that both in PvE and PvP, the factional conflict does not quite come to the forefront as we originally planned. The development team has assessed this and are currently planning both changes to the current faction conflict in the game and also developing new features that really allow players to dig into the intrigue between the factions." "We do internal reviews of feature designs and the vision holders are on hand to provide feedback and point out anything that seems to slide outside the scope of the game," he adds. "Of course, The Secret World has a brilliantly large canvas to draw upon and it is very easy to adjust ideas to keep them within our framework. The team is very invested in the world of the game, as well, so there is rarely any internal conflict about the integrity of the setting." From here, the team believes that if they can satisfy current players, more will come. Additionally, the company has more community and PR initiatives planned to raise awareness and stay in the conversation. With Bylos in the role of game director, Tornquist plans to invest part of his efforts in ambassadorship to the community. He believes that as a passionate fan of the game himself, he can share that with others. At the same time, says Bylos, "it is absolutely possible to operate an MMO without the massive numbers of World of Warcraft, and to turn a tidy profit from that. I think some companies are still -- and have to be -- focused on a massive user base, because of the way they're set up and how they operate their games. Funcom is different in that way, in that the company has such extensive experience running relatively smaller MMOs, and ensuring a steady profit from such games." The team remains "one hundred percent focused" on The Secret World, according to Tornquist, "and will remain so for a long, long time. Funcom does have other projects in various stages of production -- including the new LEGO online game -- but those teams are separate from The Secret World team, and there is no disruption in terms of the development focus. The Secret World team is smaller now than it was before launch, and that's only natural." "Fewer people are needed to run a live project than to develop the core game, but that doesn't mean the team is small," he continues. "It's still a pretty sizeable project, dedicated entirely to churning out new features and content, and on fixing bugs and issues as they pop up." Focus is essential now, the team believes. And there will be more staffing changes, with some team members moving to new projects and new hires in the future, but change is inevitable the further the game gets away from its launch, says Bylos. "Some of the best employees Funcom has had are people who've played the games and wanted to work on them," he says. "Those guys bring so much passion to the project and the team, and I'd love to see this happening with The Secret World in the long run as well." Overall, Tornquist believes it's "definitely harder" to launch an MMO now than it was three years ago. "There's a lot of competition, a lot of really good, really polished games out there, and players have more choices than ever," he says. "And yes, MMO developers have learned a lot in the past three years, particularly in terms of polish and stability. Compare recent launches with launches three years ago, and it's a world of difference. The games feel polished, solid, fun -- from day one. We don't see a lot of server issues, performance issues, and while all MMOs have bugs, there are few game-breaking ones. The bar has definitely been raised." Of course, that makes it harder for new entries to the market, especially given that these games are so tough to get right. "There really aren't a lot of MMO developers out there capable of building and releasing large-scale, AAA games -- but we are seeing a lot of smaller scale MMOs, of course, and that's a good thing," says Tornquist. "I'm not sure there's room in the market for a lot more traditional, large-scale MMOs at this point." So the company will continue to invest in The Secret World, but: "Funcom has already stated that The Secret World is probably the last MMO of this size and scale we will ever create, so we may be seeing the end of an era," Tornquist says.